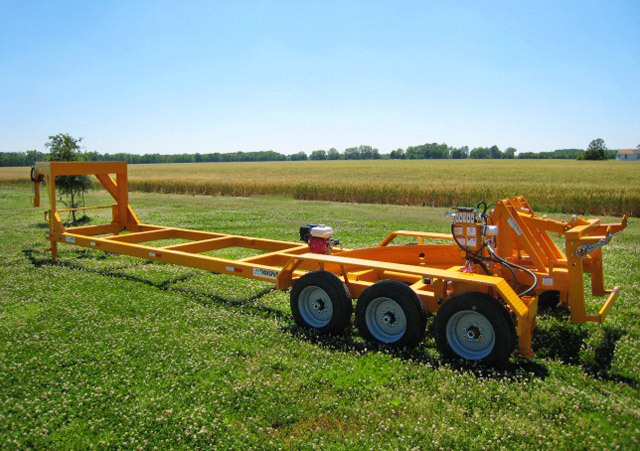 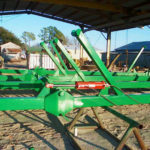 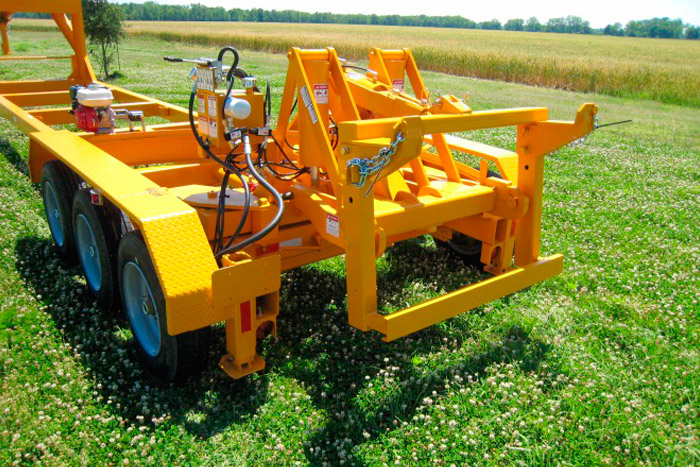 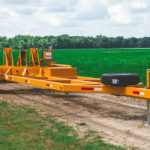 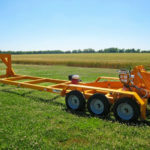 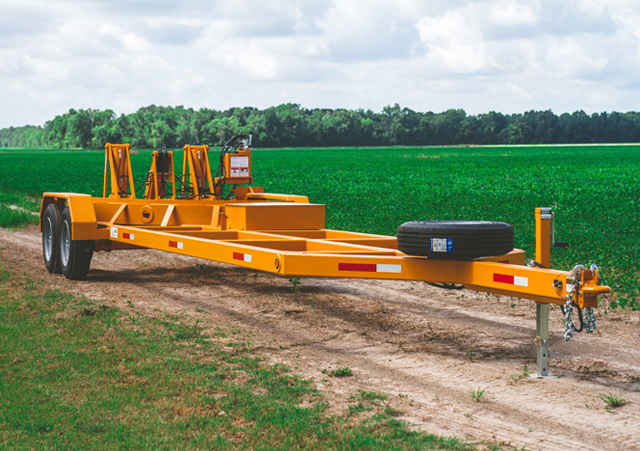 The Model 1600 Turnport was designed in 2007 to handle the heavier 12-row implements and beyond. 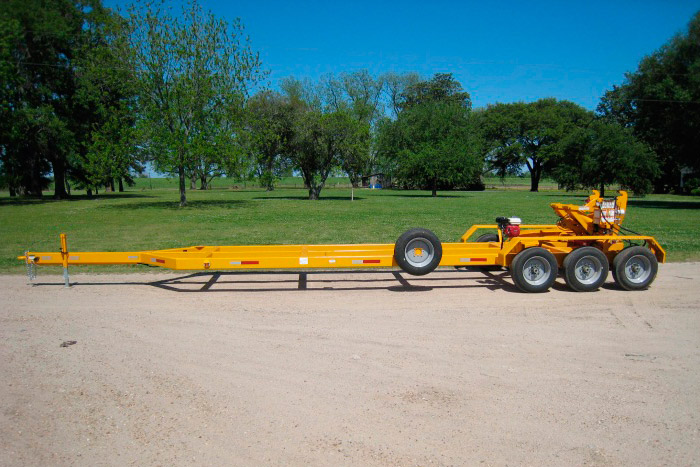 It is our largest trailer at this time. 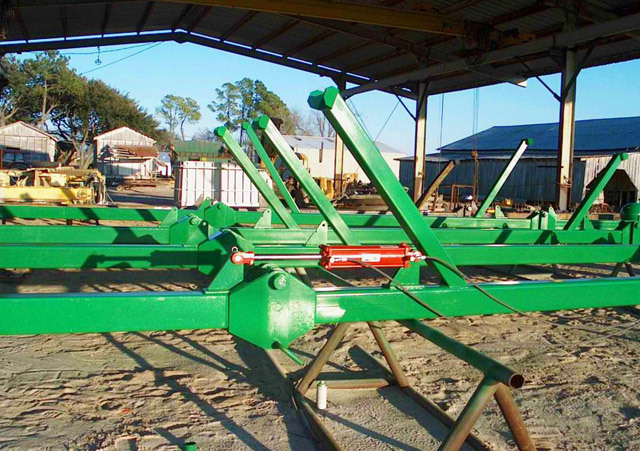 It is made with the heavier frame tubing and larger cylinders throughout. 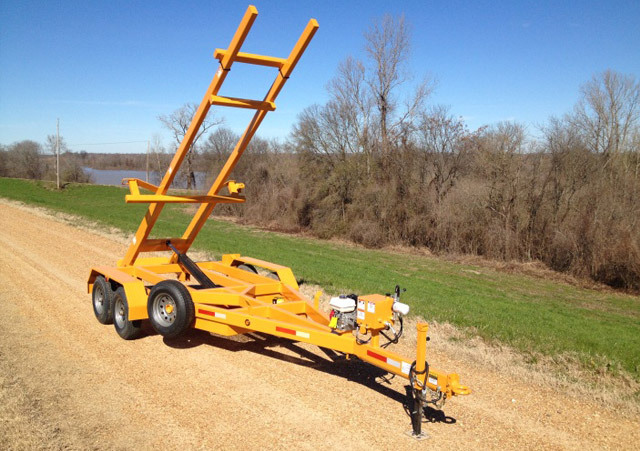 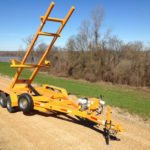 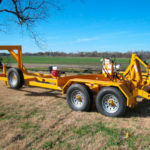 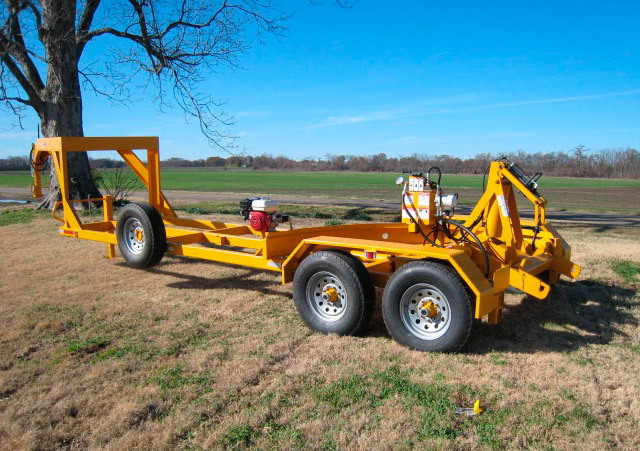 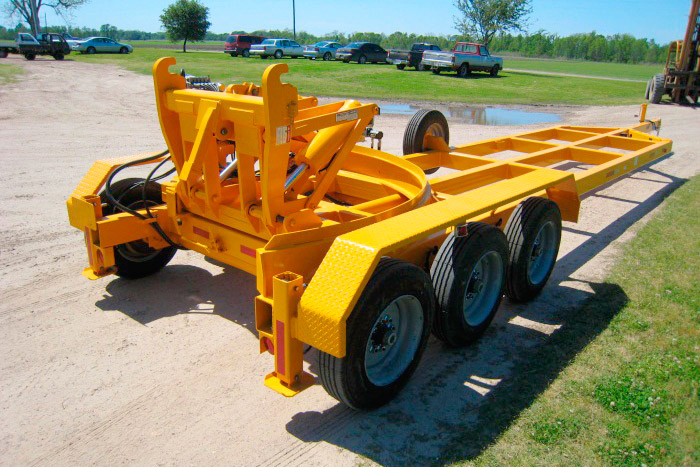 It comes standard with hydraulic outriggers, and (3) 8,000 lb. 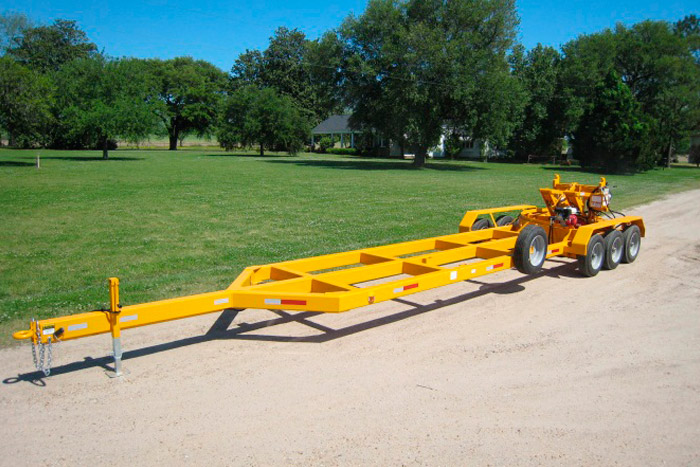 axels with the gooseneck and bumper pull options available. 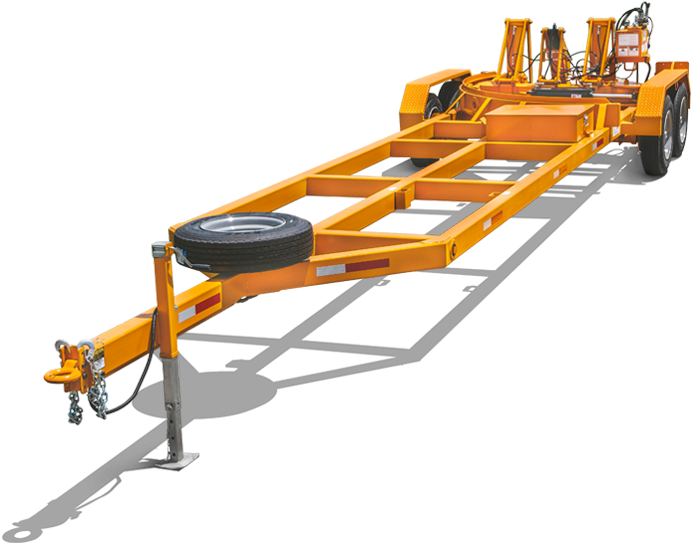 The approximate lift capacity is 16,000 lbs.